The All-School Read (ASR) is an opportunity for the entire Berkshire community, from students to alumni, to engage in a body of work from a traditional literary perspective as well as a scientific, economic, philosophical, or historical one. It’s a chance for students to interact with talented authors and thinkers, while considering a given topic in a real-world context. 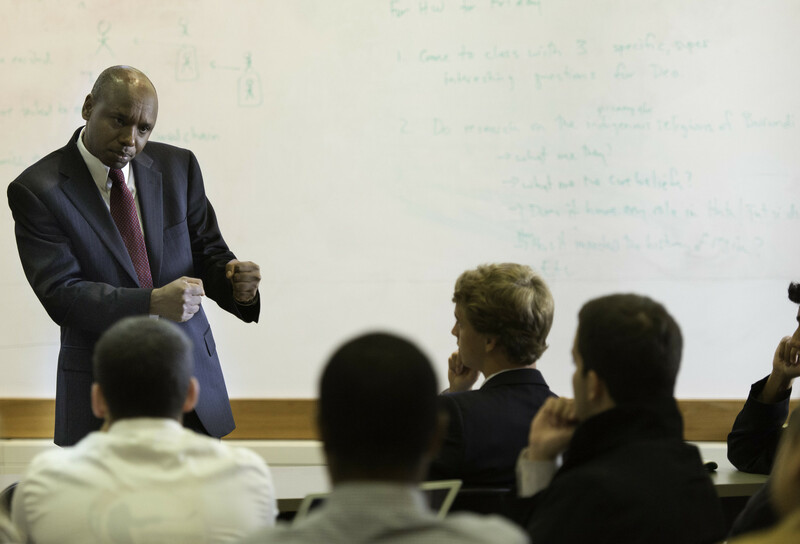 This examination promotes critical thinking and provides an opportunity for a collective conversation on campus. The program launches in the fall with a kick-off event, and the book's theme is studied within the curriculum and revisited during special events throughout the year. The 2018 ASR is Station Eleven, a novel by Emily St. John Mandel. At once a gripping, post-apocalyptic page-turner and an elegy for a lost civilization, Station Eleven's themes explore the resilience of the human spirit and the power of the relationships that bind us together. A National Book Award finalist and winner of the Arthur C. Clarke Award, the New York Times bestselling novel was voted Best Book of the Year by The Washington Post, Chicago Tribune, The Atlantic, NPR, Entertainment Weekly,Time, and many others. The novel focuses on the events leading up to a devastating flu pandemic that wipes out 99% of the world’s population and follows several characters whose lives are intertwined before and after this cataclysmic event. In imagining a post-apocalyptic world, the book implores readers to consider the fleeting beauty of life as we know it and ask themselves, "What would I miss?" This and many other questions will linger long after the last page is turned. As a compliment to the novel, we have gathered a collection of resources online. Don't miss the videos, podcasts, social media feeds from the author, and more, on our All-School Reading Guide. Walking to Listen: 4,000 Miles Across America, One Story at a Time by Andrew Forsthoefel is the story of the young author's journey walking across the United States and the many people he met along the way. It's part adventure story and part portrait of our nation in the 21st century. Emmy-nominated political comedian W. Kamau Bell visited Berkshire to present his show, The W. Kamau Bell Curve: Ending Racism in about an Hour. The show was part of the School's 2016 All-School Read program, which focused on Between The World and Me by award-winning author Ta-Nehisi Coates. 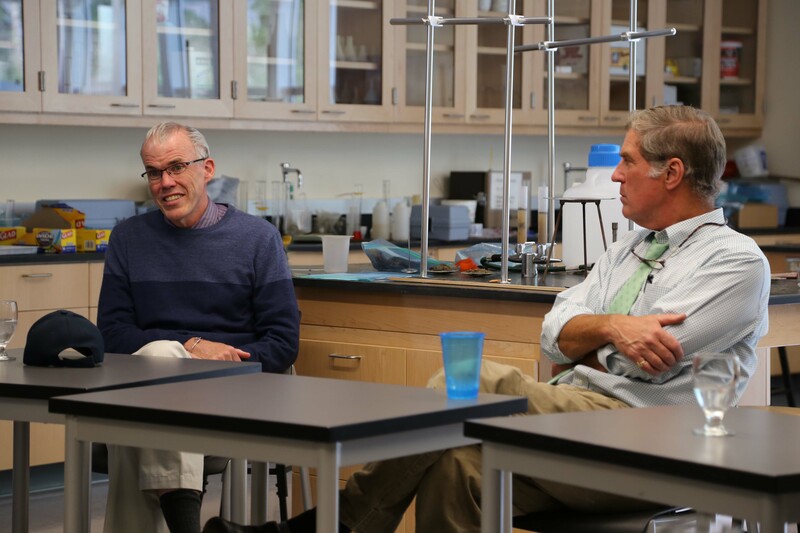 New York Times Bestselling Author and environmental activist Bill McKibben visited Berkshire for the 2015 All-School Read. McKibben, author of Oil and Honey: The Education of an Unlikely Activist, is the founder of 350.org. Shiza Shahid, CEO and co-founder of the Malala Fund, addressed the Berkshire community during 2014's All-School Read program. A graduate of Stanford University, Shiza is the co-founder and CEO of the Malala Fund, an organization that works to empower girls through education. Author Tracy Kidder's Strength in What Remains explores the journey of Deogratias "Deo" Niyizonkiza through the horrors of civil war and genocide in his native Burundi, to medical school and a life of healing. Niyizonkiza, founder of Village Health Works, visited the school for the inaugural All-School Read program in 2013. The ASR Contest is a chance for students to articulate, through the written word, a video or audio response, or other artistic means, their understanding and personal connections to Station Eleven.